I like to treat this as a recap on what I have intended to blog for the past one week but didn't got the time to until now. To make it slightly more interesting and different from my usual style, I am writing this post in a "Memento" Style. 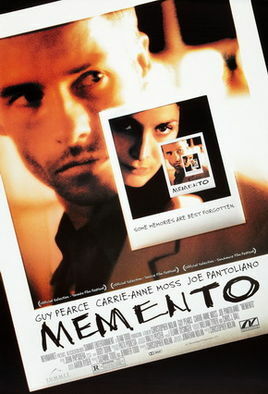 If you are a movie buff like me, I am sure you've watched the movie, Memento (2001), directed by Christopher Nolan (yes, the one that brought us the blockbusters like The Dark Knight Trilogy, Inception etc...subsequently). It is a very intriguing crime story told in reverse order i.e. start with the end and end with the beginning. If you have not watched it, it is highly recommended! As per my earlier post regarding my manual DCA (Dollar Cost Averaging) counter, Singtel, I am supposed to lock in another 200 to 300 shares during this period. However, it didn't happens as the price keep moving upwards and almost hit the 52-weeks high at one stage. I do aware that such "flexibility" should not be applied if I were to follow DCA strictly but I am just trying out the variation of it and see how it goes. There is no luck this time round! I failed at my second IPO attempt (Advancer Global) and missed the chance to be part of the successful IPO (up almost 100% on the first day of trading). Well, try harder next time. SGX is having a stable and peaceful trading session, mostly greens...What a beautiful day... that was sorely missed TODAY...!